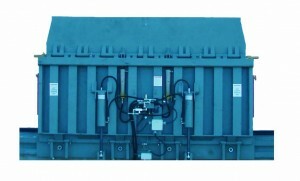 “RRH” SERIES RAIL RAMP HYDRAULIC LEVELER | Dock Door Systems Inc. 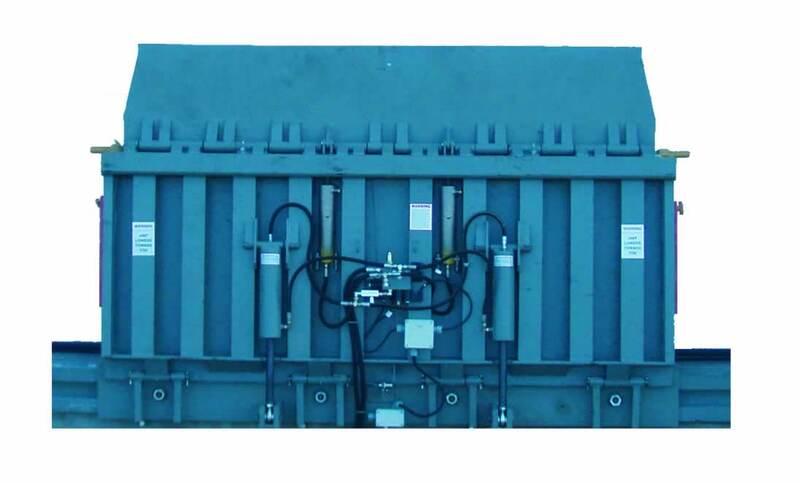 The “RRH” Series is structurally designed for the most demanding applications with easy push button convenience for smooth, consistent operation plus outstanding toughness and dependability in your most challenging rail dock operations. McGuire offers a rail ramp hydraulic dock leveler to meet your rail dock needs while providing low lifetime ownership costs and years of trouble free service with the industry’s best built-in safety. They are normally mounted on face of wall but can also be put into a short recessed pit. Various sizes and capacities allow for flexibility. Hydraulic rail ramp levelers have added safety features and save time in operation and maintenance. They come in ramp widths of 6’, 6’6”, 7’, 7’6”,8’ and 8’6” with centerline track dimensions of 8’7” to 9’4” and 9’5” to 11’0”. Standard capacities for the “RRH” Series are 40K, 50K and 60K CIR (Comparative Industry Rating).